Control your home’s lighting from your phone. Lighting is the often the second highest category of a home’s energy use, so it’s one of the best categories for whittling away at your energy bill. With a remote lighting app, you can program your lights to dim or turn off completely according to a schedule. You could also install occupancy or motion sensors that will let you know if a light is on when there’s no one home to use it. Use smart electronic power strips. 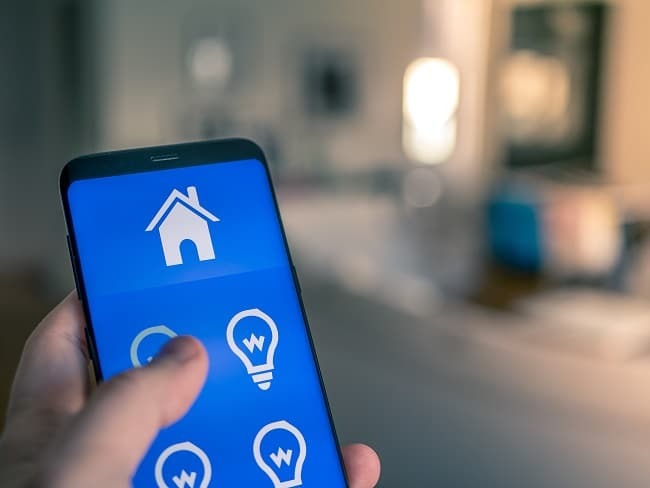 You and your family can power down everything and double-check the lights, but there are several devices in your home that passively use electricity all day, even when no one is using them and everyone is sure they’re off. This list can include cable boxes and DVRs, automatic coffee machines, and game consoles and computers in ‘sleep’ mode. Extend your home automation to power strips that cut off power when they know no one is home or during scheduled hours when you know everyone should be asleep. Install smart sockets. Even if your sockets don’t follow a set schedule for energy use, you can check up on them to see which ones are in use when they shouldn’t be. If your app or extension shows a socket in use in a bathroom or the kitchen, you can be reasonably sure it shouldn’t be and cut off power to the circuit. This can help protect your home by preventing fires and protect the appliances from overheating. There’s always a lingering fear that you may have left something running if you think too long about it. Get rid of the uncertainty by contacting Fort Knox Security Services about an automated security system, especially as everyone’s still getting into the swing of a new schedule.